Optimum Signs, owned by Scott Kuehn in Menmonee Falls, WI, recently completed a project for a local church. Scott was contacted by the new pastor of Community Life Church who was looking for a company to develop a business relationship with. He had worked with other companies but always just felt like another customer. The pastor mentioned a need to replace the existing monument sign and Optimum Signs was there to help. 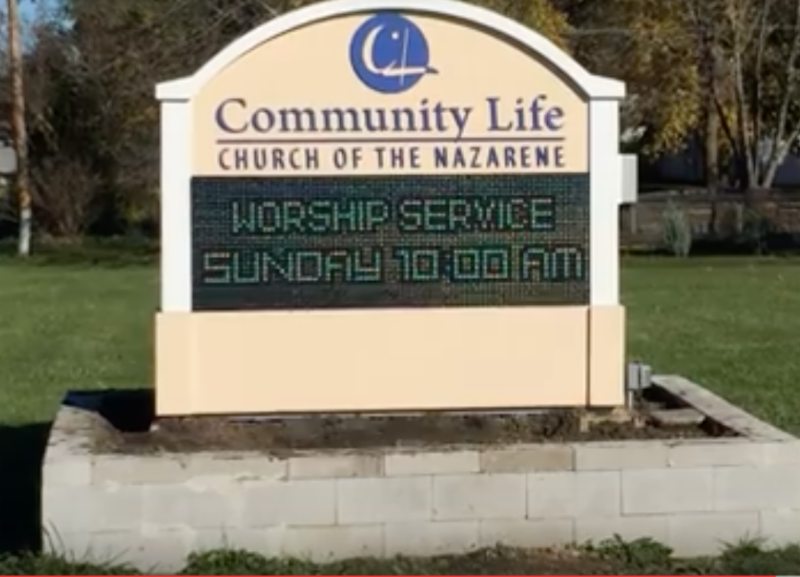 After working with the pastor on design, Optimum Signs decided a LCD message board monument sign would be best. The monument sign was built using lightweight styrofoam and HDU rather than traditional stone and stucco structures, and, as requested by the church, a bed of flowers was placed around the sign. In total, this project brought in a total revenue of approximately $19,500.